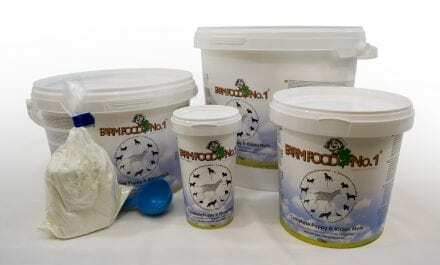 Farm Food No.1 has been developed especially for puppies and kittens that cannot drink their mother’s milk or only have access to insufficient quantities of their mother’s milk. Farm Food No.1 can substitute mother’s milk or supplement it. Farm Food No.1 has also proven to be suitable for other small mammals. Also in case of nursing, ill or recovering animals it can be a valuable supplement. Why is Farm Food No.1 different from others? Contrary to other sorts of puppy- and kitten milk supplements, Farm Food No. 1 is based on full fat goat milk powder instead of skimmed cows’ milk powder. Farm Food No.1 is also supplemented with various important ingredients so that it forms a perfect and complete puppy- and kitten milk. We have made the choice for full fat goat milk because goat milk is naturally of a better composition for puppies, kittens and other small mammals compared to cow’s milk. Goat milk is easier to digest compared to cow’s milk, has many bowel-stimulating properties and is in amino acid pattern as well as in fatty acid pattern almost similar to mother’s milk. The full fat goat milk used by us is not skimmed, that is why the fat in Farm Food No 1 consists of the very easy to digest goat milk fat. The protein in goat milk, in relation to the one in cow’s milk, has a finer structure, hence the protein in Farm Food No. 1 is also easier to digest. Goat milk comprises several (partly still unknown) bowel stimulating and bowel protecting ingredients. We exclusively use natural ingredients that are suitable for human consumption. Due to all of this Farm Food No. 1 is amongst other things extremely mild for the yet insufficiently developed (immature) digestion system of puppies, kittens and other new-born small mammals. This is also why Farm Food No. 1 is ideal to stimulate the intestinal flora when they are a (little) older. Farm Food No.1 is meanwhile used from a growing number of breeders, shelters, zoos and animal asylums for small mammals. During the test phase Farm Food No. 1 worked best for all of them (compared what they used before). Farm Food No. 1 is also used with great success in zoos and shelters all over Europe as supplementary feeding source for ill and recovering animals. Farm Food No.1, without artificial additions! The full fat goat milk for Farm Food No. 1 is especially spray dried. That is why Farm Food No. 1 is all the time “bleating fresh”. Spay drying withdraws the liquid from the goat milk creating a fine powder. Through this process we can guarantee a long preservation time from at least 2 years without the addition of artificial preservatives. 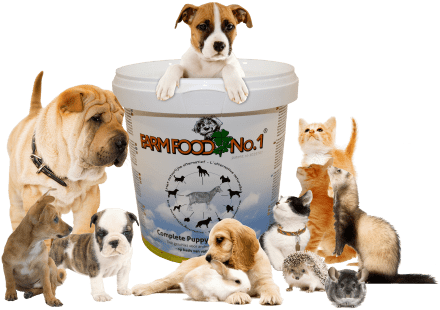 Farm Food No.1 has originally been developed for puppies and kittens but over the years it became apparent that our puppy milk is also particularly suitable for other small mammals such as hedgehogs, rabbits, hares, frets, rats, mice, chinchillas, foals, alpacas, deer, reindeer, seals, bats, squirrels and goats. (This list could be continued endlessly and relates to each small mammal that needs mother’s milk). You get satisfied sleeping puppies, kittens etc.